Published by OakTara Publishers, 2009. Offerings won the Bronze Medal in the IPPY Independent Publisher Awards for 2010, Religious Fiction category. The novel also placed Honorable Mention in two categories, Spirituality/Inspiration and Travel in the Reader Views Literary Awards. “Christine Sunderland has given readers a great read in the second book of her trilogy. This is a fast-paced novel with great historical detail, drama and loss. Jack Seymour at the age of twelve witnessed his father’s death and never got over the trauma. His marriage to Madeleine is wonderful and he seems to be happy with the way his life is going… (but) he has only six months to live. Dr. DuPres has fled the country (and) Jack and Madeleine fly to France to find her. Madeleine and her husband Jack scour France on an anxious search for the doctor who may save Jack’s life. Meanwhile that same doctor, Rachelle DuPres, treks throughout the country on her own quest for spiritual healing. In the second of Christine Sunderland’s inspirational fiction trilogy, Offerings invites the reader to travel alongside these ailing souls as they search for healing, truth and salvation. Read Feathered Quill’s review of Offerings. This emotional tale of healing and religious discovery is set in the rolling fields of France. Madeleine Seymour is looking for a miracle. Her husband Jack – the love of her life – has been diagnosed with a cancer-related esophageal affliction that will kill him within six painful months. 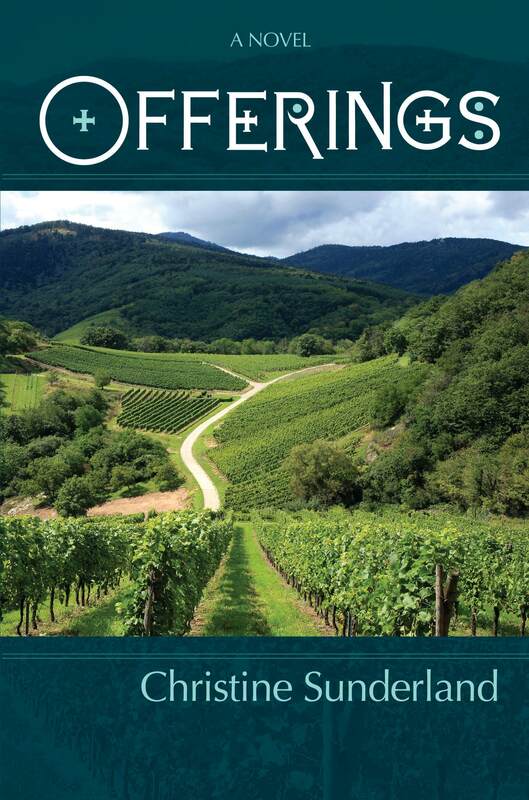 Read Kirkus’ review of Offerings. Offerings by Christine Sunderland is a wonderfully entertaining novel which includes an interesting and engaging story as well as rich historical and descriptive passages.Read entire review on CatholicNovel.com.